IBM broke the speed record for data transfer, and 14% faster than the previous mark. 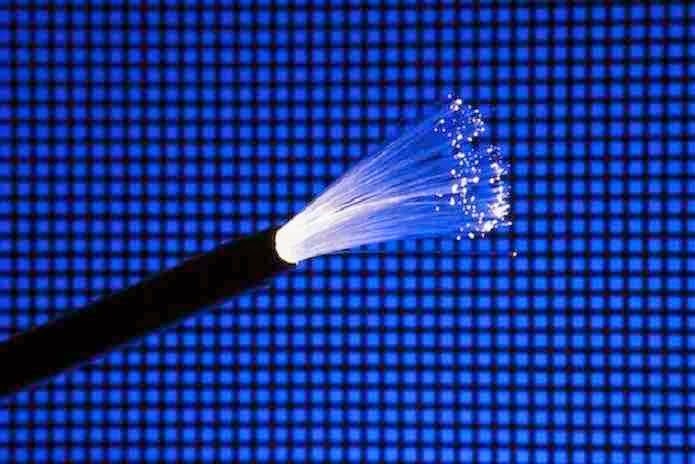 To accomplish the feat - which can improve performance for servers, data centers and supercomputers - the company used multimode optical fiber. The feat was made possible by use of silicon germanium chips custom laser VCSEL to send the data. The company's researchers were able to send data at a rate of 64Gb / s over a cable length of 57 meters. Besides being 14% faster than the previous mark, the result recorded is 2.5 times faster than existing technology in the market. According to Dan Kuchta, IBM researcher, is still possible to improve speed. According to him, his team broke the golden rule, which postulated that the rate of maximum data transfer rate was 1.7 times the bandwidth. Ie, with a bandwidth of 26 GHz with the VCSEL laser could be achieved only 44 GB / s. But the company exceeded expectations. The problem of technology however, be restricted to the cable is 57 meters. The size does not allow, for example, the transfer of data between continents. But according to IBM, the size is enough to be used in data centers and supercomputers.